This op-ed originally appeared in the Oct. 22, 2018 issue of SpaceNews magazine. Truly succinctly explained why, nearly 50 years since a very young NASA stunned the world by sending Americans to the moon in one giant leap, recent decades have witnessed series of much smaller steps consuming far more time. Every decade since Tranquility Base, the people outside the room that Truly spoke of have come to believe less and less in what is being done in human spaceflight. We are in this mess because after the impetus for Apollo — the Cold War — ended, a new one was never found. 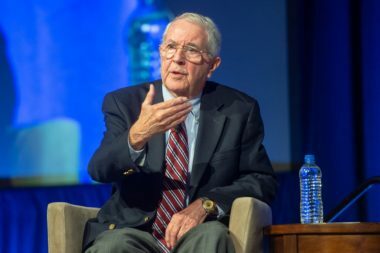 Beyond the well-worn platitudes that have endured for decades, what is being done has slowly morphed into a simple program to keep NASA and its industries alive. This is a total failure of policymaking. “America does not have to do this,” as Truly remarked, but we should spend modest amounts (and they are modest) to open space to the totality of American industry, not just the space industrial complex. History is full of frontiers in technology that the American government opened by doing things that enabled private enterprise to gain a foothold it could not achieve on its own. To create an aviation industry, U.S. government policy did not create a national airline; instead, the federal government, through a series of policies, subsidized the development of airlines until they could stand on their own. The internet came from efforts by the federal government to expand, not restrict, the use of computers as communication devices. President Eisenhower sold the interstate highway system as a vital component of national defense. The real goal was to stimulate postwar construction and to help the postwar automobile industry to sell more cars. Communication satellites are the “space” example of federal investment producing private infrastructure. Today, no one watching international television cares that such broadcast was once a novelty heralded with “live via satellite.” Nor do they know that the entire revolution in global communications started in the 1960s with a hat-box-sized satellite named Syncom. 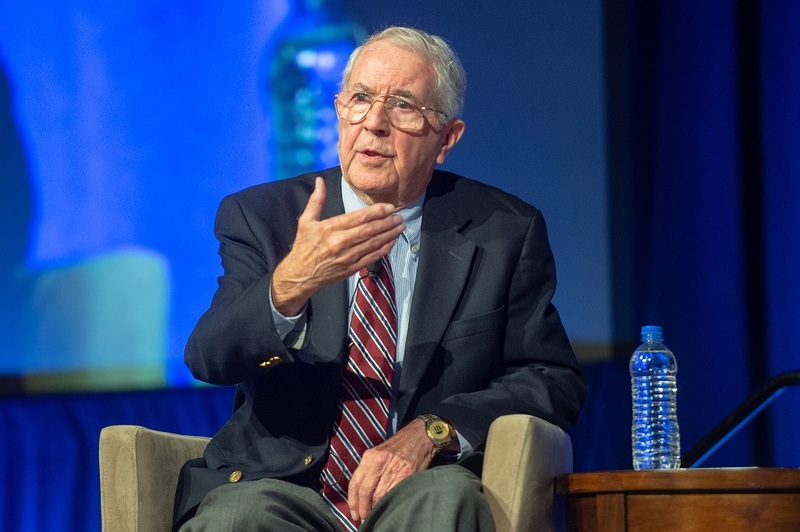 Hughes had the spacecraft and the concept, but it took U.S. taxpayer dollars to get the satellite into orbit and sustain this once-novel application until the industry matured. What people around the world do know is that our lives today are significantly different from 50 years ago because of such efforts. To make the next 50 years of human spaceflight different from the last, government spending should change its focus from federal job creation to that of creating private infrastructure that, while serving government purposes, is also available to other private industries. First, stop projects whose only goal is to maintain infrastructure that has little value to the American people “beyond the room” — especially when those projects are not going well. Prime examples are NASA’s Space Launch System heavy-lift rocket and the Orion capsule that rides on it. Both have been in development for nearly 15 years consuming about $3 billion a year. An additional five years and $15 billion are required to come anywhere close to completion. More modifications are planned over the decade after that. Astonishingly, the launch rate is planned at one per year with a cost of over $2 billion per launch. They are small, expensive steps to nowhere. Yes, lot of money already has been spent, but to spend more is to waste more. This is the hard, but essential, political choice. Without it, policy is stuck. Political patronage jobs in places like Alabama and Florida will be lost, but these jobs will be found again with the investment in private infrastructure. Two tasks summon such spending. Phase one is to renew and extend the life of the International Space Station and prepare it for the future. The United States alone has invested more than $200 billion in this project. It’s time to put it to work. The portfolio of the station should be widened. ISS should expand its crew and facilities by contracting with private providers for such things as a dedicated free-flying microgravity platform (Northrop Grumman Innovation Systems is already using its Cygnus cargo module in a limited way for such activities), add-on modules for private use, and a concentration on space technology experiments. 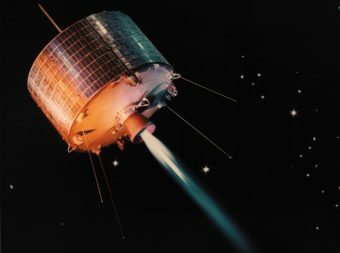 NASA launched Syncom 1 in February 1963 to prove the potential of geostationary orbits, but it stopped sending signals a few seconds before reaching final orbit. Five months later, NASA launched Syncom 2 which demonstrated the viability of the geostationary satellite. Syncom 3, the next satellite in the series, transmitted live coverage of the 1964 Olympic games in Tokyo to stations in North America and Europe. If the U.S. government will act as initial customer, much as it did for the airmail system, companies such as Axiom and Bigelow Aerospace are ready to make commitments to provide services. 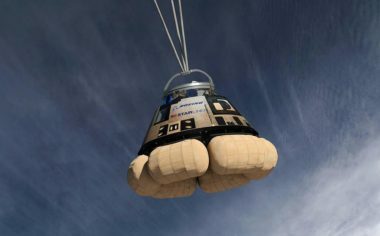 Both Boeing and SpaceX are soon to provide government-anchored private lift to the station with excess capacity, in the form of additional seats, for commercial uses. The space station would become a “port” for experiments in the use of space: a free-trade zone where industry can develop experimental products and deploy operational ones, assemble and launch satellites, and, most importantly of all, do space technology experiments. Space policy should encourage and invest in technology experiments such as in advanced robotics, assembling of vehicles, space refueling, new propulsion systems, and countermeasures to the effects microgravity has on humans. Today, Bigelow Aerospace has — under the BEAM project started by the last administration — already put a module on the station with innovative inflatable technology. Though not on the space station, the aging Hubble Space Telescope, a national asset, should anchor federal investment through private enterprise in satellite refurbishing. Private industry should be tasked to revitalize Hubble so it can have decades more useful service, protecting the massive national investment that has been made in it. Phase two is for the U.S. to make a commitment to go back to the moon and attempt to use the resources there to anchor future activities in space. NASA, under the current administration, is proffering a plan to “start” a return to the moon with a 10- to 15-year program to build a lunar “deep space” station. This should be avoided. The program is nothing more than a makework program for NASA’s SLS and Orion projects. It is the same justification inside a justification, or in NASA slang “the next logical step” which has been the cul de sac human spaceflight has been stuck in for 50 years. The plan repeats the same mistakes that must be corrected now on the ISS. What is needed is a base on the moon. The moon is our new continent. For humans 100 years ago, Antarctica was as far away in terms of technology as the moon is for us today. But even a 100 years ago, it was understood that to explore the South Pole, one first had to land there. The technology from World War II helped bring it closer. Experiments suggested above for the space station will peacefully serve the same purpose. The “station” should be on the moon. SpaceX, Blue Origin, and United Launch Alliance have or are building rockets that in the near term (around 2020) can launch substantial payloads directly to the moon. Even greater ones can be launched to the space station to be checked out and assembled before being sent to the moon. This process is essential to any future exploration by humans of the solar system. In parallel, an exploration program using advanced robotics should be started to identify the location on the lunar poles (north or south) for a first lunar outpost. This exploration can be conducted while contracts are awarded and programs completed to develop the infrastructure needed for such an effort. This includes the capability to travel to and from the moon, sustain life there, and allow for the exploration of using lunar resources. Large quantities of water ice have been identified at the lunar poles. A primary focus of the outpost — what it must be built and operated to do — is the use of lunar resources to sustain it and the scientific efforts it is tasked with. If this can be achieved, where operational costs fall using in-situ resources, almost everything else is possible. This “step,” done correctly, will accelerate the ability of the station to expand. But, most importantly, it will allow private enterprise to sell fuel and other provisions at a cost lower than bringing them from Earth, expanding other activities in human spaceflight. Such an effort is nontrivial. It will require a synergy of human activity and advanced robotics to create economies that don’t currently exist in human spaceflight. This knowledge and skill are, however, essential. Both phases will challenge American energies in both industry and government. It will be an effort that the American people can see unfold and deliver results. Just as in every other endeavor in history, some efforts will fail. But others will succeed, and from those will come the expansion of our capabilities as a nation and our potential as humanity. All infrastructure costs money. The repayment for government investment is not direct; it’s measured instead by the capabilities that it enables and the private-sector jobs it creates. For example, Blue Origin is building a plant in Alabama that will hire people to build engines both for its own rockets and ULA’s Vulcan rockets. 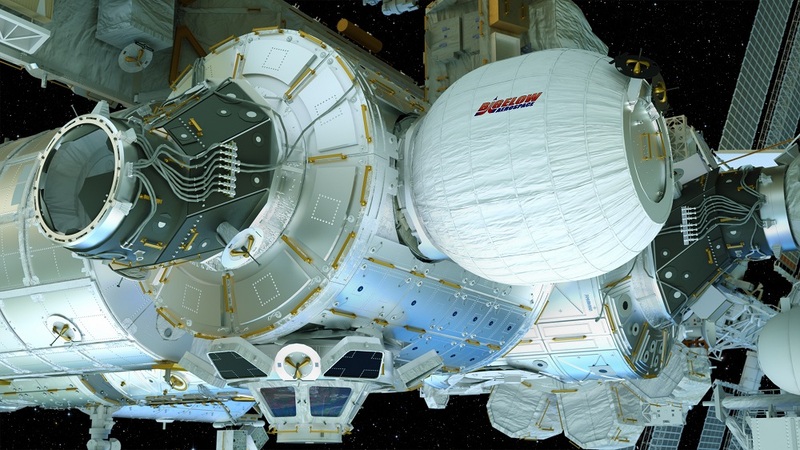 Both phases would build on the success of the commercial cargo and crew contracts for ISS. These contracts have developed from scratch economical resupply and, soon, re-crewing of the space station from multiple private contractors. The measured steps can be managed carefully and tightly so that cost overruns are avoided, and measured progress seen on a yearly basis. American industry is poised for this challenge. Industries across the country are proffering innovative ideas for the space station and a lunar return. They and their workers are ready to be stimulated by reasonable federal goals and modest investments. President Kennedy’s September 1962 speech summoning America to land men on the moon within a decade now seems like it happened in different country than the United States of today. While Kennedy’s speech beckoned that generation to join a frenzy of activity to do great things, the speech has haunted every generation since that has tried to recreate the goal without the reason. 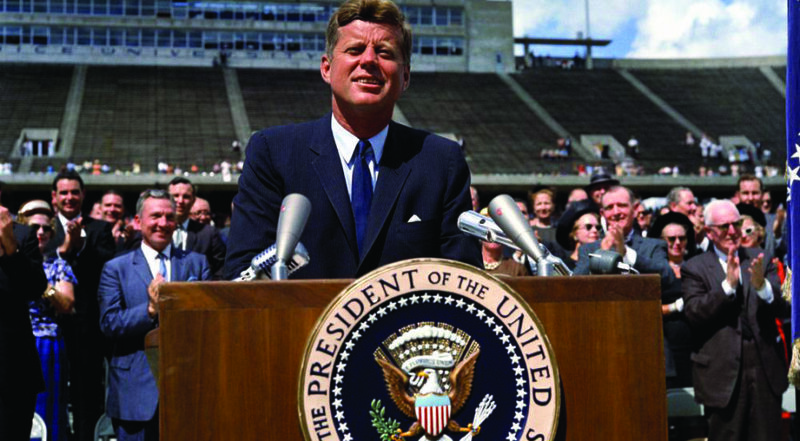 Our generation, and future generations, need goals that, to quote Kennedy, will “serve to organize the best of our energies and skills.” Over the last half-century, lacking suitable challenges, our energies and skills have decayed. We have taken ever smaller steps over longer time spans. The goal to create a space industrial complex that is open to the entire nation that will allow us to explore a new continent, and integrate it into our society is worthy of this and future generations. It is in the American psyche to try to do things that summon the future and not memories of the past. A new effort in human space can do that. Robert G. Oler is a founding member of the Clear Lake Group on Space Policy and a senior captain instructor pilot for an international airline.